14 b Holy Roman Emperor – Another Storm (Gone West) WINNER at 2 years, half-sister to champion ORDER OF ST GEORGE (won 12 races inc. Ascot Gold Cup – Gr.1, Irish St Leger, – Gr.1 (twice), British Champions Long Distance Cup – Gr.2, St Leger Trial – Gr.3 (3 times), Vintage Crop Stakes – Gr.3, Saval Beg Stakes – Listed (twice) etc, also 2nd Ascot Gold Cup – Gr.1, Irish St Leger – Gr.1, Curragh Cup – Gr.3, Vintage Crop Stakes – Gr.3, Eyrefield Stakes – Listed, 3rd – Prix de l’Arc de Triomphe – Gr.1), ASPERITY (won 7 races inc. Prix Paul de Moussac – Gr.3, also 3rd Classic Trial – Gr.3), ANGEL TERRACE (won 4 races inc. Pin Oak Valley View Stakes – Gr.3), SEHOY (won 9 races inc. Sk. 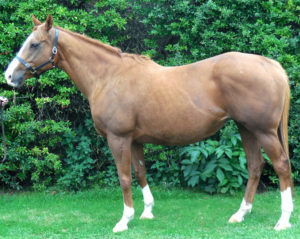 Faltrittklubbens Jubileumslopning – Listed), Kellstorm (won 5 races, also 3rd The Bart Cummings – Gr.3). Dam winning half-sister to Grade 1-placed Trojan Warrior and daughter of champion STORM SONG (won Frizette Stakes – Gr.1, Breeders’ Cup Juvenile Fillies – Gr.1 Adirondack Stakes – Gr.2 etc). 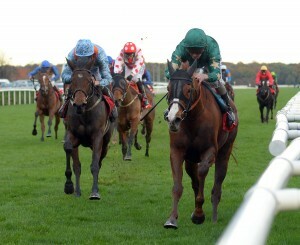 10 b Danehill Dancer – Dashing (Sadler’s Wells) WINNER. 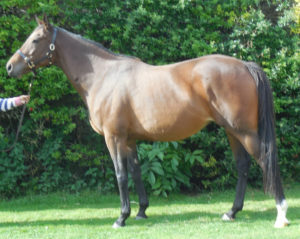 Half-sister to 2 winners. 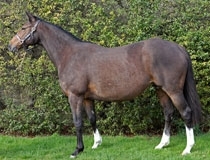 Dam 1/2 sister to ALEXANDER GOLDRUN (champion older mare in Ireland; won Nassau Stakes – Gr.1, Pretty Polly Stakes – Gr.1 (twice), Prix de l’Opera – Gr.1, Hong Kong Cup – Gr.1) and MEDECIS (won Prix de la Jonchere – Gr.3, 2nd Poule d’Essai des Poulains – Gr.1; sire). Family of ROYAL REBEL (Gr.1), GETAWAY (Gr.1), GUADALUPE (Gr.1). 13 ch Mastercraftsman – Sweet Firebird (Sadler’s Wells) WON 3 races at 2 and 3 years inc. Prix Petite Etoile – Listed, placed 5 times inc. Pipalong Stakes – Listed, 3rd Snow Fairy Stakes – Gr.3, Doncaster Mile Stakes – Listed, and 4th Gillies Fillies’ Stakes – Listed. 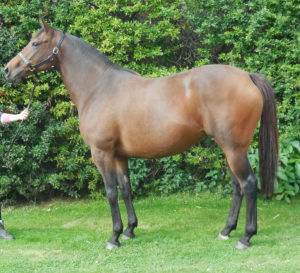 Half-sister to AYRAD (won 4 races inc. Ambant Gala Stakes – Listed, Tapster Stakes – Listed, also 2nd Glorious Stakes – Gr.3, Aston Park Stakes – Gr.3, 3rd Gordon Richards Stakes – Gr.3, etc). 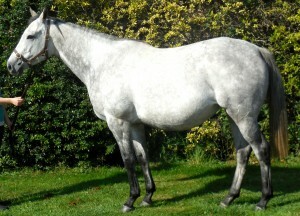 Dam Gr.3-placed half-sister to champion STRAVINSKY (won Nunthorpe Stakes – Gr.1, July Cup – Gr.1 etc; sire), MOSCOW BALLET (won Hampton Court Stakes – Listed, 3rd Secretariat Stakes – Gr.1) and out of FIRE THE GROOM (won 8 races inc. Beverly D Stakes – Gr.1, Wilshire Handicap – Gr.2, also 2nd Beverly Hills Handicap – Gr.1, Matriarch Stakes – Gr.1). 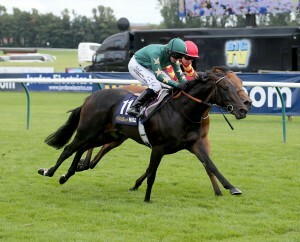 06 b Storm Cat – Mariah’s Storm (Rahy) Dam of DECORATED KNIGHT, won 8 races at 3-5 years inc. Irish Champion Stakes – Gr.1, Tattersalls Gold Cup – Gr.1, Jebel Hatta – Gr.1, Meld Stakes – Gr.3, Festival Stakes – Listed, Winter Derby Trial – Listed etc, 2nd Prince Of Wales’s Stakes – Gr.1, Diomed Stakes – Gr.3, 3rd Joel Stakes – Gr.2. 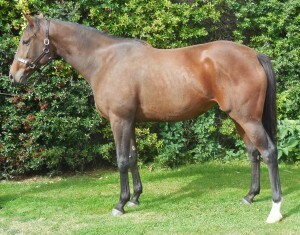 Sister to GIANT’S CAUSEWAY (Champion 3yo in Europe in 2000; won Juddmonte International – Gr.1, Eclipse Stakes – Gr.1, Irish Champion Stakes – Gr.1, St. James’s Palace Stakes – Gr.1, Sussex Stakes – Gr.1, Prix de la Salamandre – Gr.3, Futurity Stakes – Gr.3, Gladness Stakes – Gr.3, 2nd 2,000 Guineas – Gr.1, Irish 2,000 Guineas – Gr.1, Queen Elizabeth II Stakes – Gr.1, Breeders’ Cup Classic – Gr.1; Champion sire), YOU’RESOTHRILLING (won Cherry Hinton Stakes – Gr.2, Swordlestown Stud Sprint Stakes – Gr.3 (dam of GLENEAGLES (won 2,000 Guineas – Gr.1, Irish 2,000 Guineas – Gr.1, St. James’s Palace Stakes – Gr.1, National Stakes – Gr.1, etc, sire; MARVELLOUS (won Irish 1000 Guineas – Gr.1), HAPPILY (won Prix Jean-Luc Lagardere – Gr.1), THE TAJ MAHAL (Gr.2 winner), COOLMORE (Gr.3 winner)), FREUD (Gr.2-placed; leading sire), TUMBLEBRUTUS (Gr.2-placed; sire), TIGER DANCE (Gr.3-placed; sire), ROAR OF THE TIGER (Listed-placed; sire) and BUTTERFLIES (Gr.3-placed). Dam won Arlington Washington Lassie Stakes – Gr.2, Turfway Breeders’ Cup Handicap – Gr.2, Arlington Matron Handicap – Gr.3, Ak-Sar-Ben Oaks – Gr.3, 3rd Spinster Stakes – Gr.1, and 1/2 sister to PANORAMIC (won Prix d’Harcourt – Gr.2, 2nd Rothman’s International Stakes – Gr.1; sire) out of G3 winner IMMENSE. 11 b Shamardal – Grace O’Malley (Refuse To Bend) Dam won Noblesse Stakes – Gr.3 (twice), 3rd Blue Wind Stakes – Gr.3, and 1/2 sister to Listed winner JADALEE, out of half-sister to SIR PERCY (won Derby – Gr.1, Dewhurst Stakes – Gr.1 and Vintage Stakes – Gr.2; sire). 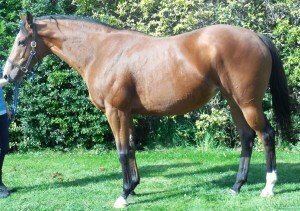 12 m Dalakhani – Neartica (Sadler’s Wells) Unraced. 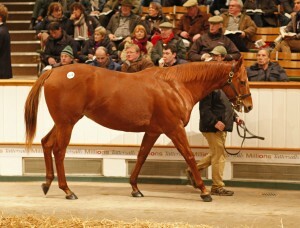 1/2 sister to 2 winners. Out of winning 1/2 sister to champion GOLDIKOVA (won Breeders’ Cup Mile (three times) – Gr.1, Queen Anne Stakes – Gr.1, Prix Rothschild (four times) – Gr.1, Prix de la Foret – Gr.1, Prix d’Ispahan (twice) – Gr.1, Prix du Moulin – Gr.1, Prix Jacques les Marois – Gr.1, Falmouth Stakes – Gr.1 2nd Poule d’Essai des Pouliches – Gr.1, Prix Jacques les Marois (twice) – Gr.1, Prix de la Foret – Gr.1, Queen Anne Stakes – Gr.1, 3rd Breeders’ Cup Mile – Gr.1, Prix de la Foret – Gr.1, Queen Anne Stakes – Gr.1 etc. ), GALIKOVA (won Prix Vermeille – Gr.1, Prix Guillaume d’Ornano – Gr.2, 2nd Prix de Diane – Gr.1, Prix Jean Romanet – Gr.1 etc), ANODIN (won Prix Paul de Moussac – Gr.3, 2nd Prix Jacques les Marois – Gr.1, Breeders’ Cup Mile – Gr.1, Prix d’Ispahan – Gr.1, 3rd Prix du Moulin – Gr.1, Queen Anne Stakes – Gr.1 etc. 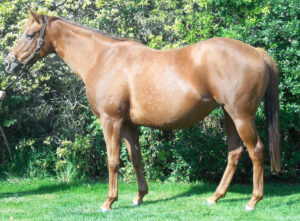 Sire), GOLD ROUND (won Prix Cleopatre – Gr.3, dam of GOLDWAKI (Gr.3) etc), GOLD SOUND (won Prix de Guiche – Gr.3), Born Something (Gr.3-placed), Red Tune (Gr.3-placed) etc.